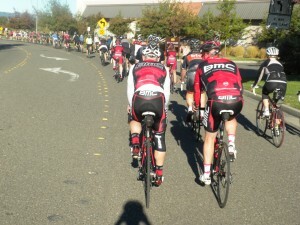 Yesterday was the annual Team Swift fundraiser, the Cycle With Champions. While I didn’t have the full morning to enjoy the whole ride, it was fun heading out with them and catching up with some of my friends. The energy was fantastic. 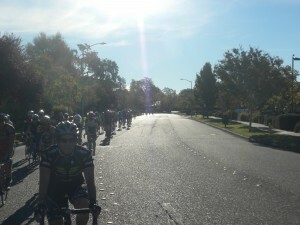 There were easily over one hundred cyclists there. And lots of volunteers. So many good folks, all gathered to support Team Swift.